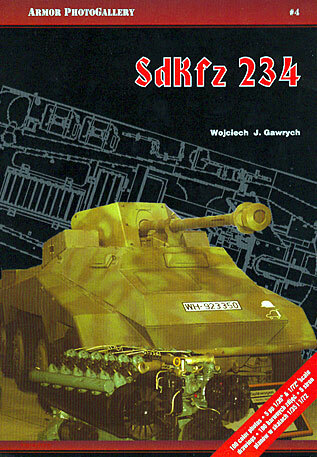 This is a fantastic Reference Book for those who like German armoured cars. Inside this compact package there are 100 nice, clear colour photos of the different variants of the Sd Kfz 234 with captions in English and Polish. The body text is also bilingual, and provides some very useful information on this family of vehicles. There is also a smaller selection of black and white WWII photos included. For the modeller, 5 pages of 1/72 and 1/35 scale profile drawings are especially helpful. Finally, as a bonus, there are some great captioned photos of the 7.5cm Pak 40 gun over seven pages at the end of the book. I would be happy to recommend this book to any enthusisasts of German armour, and I look forward to future editions. Thanks to Squadron.com for the review sample.